Because it's PhoKing Awesome - CHOMP! SLURRP! BURP! Asian is the next cuisine that comes very naturally to me, gives a “feel at home” kind of a warm feeling. Italian is fancy and Mexican, flavoursome and Lebanese emits a calming vibe but nothing compares to well prepared Asian. PhoKing Awesome is the newest place you get to savor these familiar flavours. 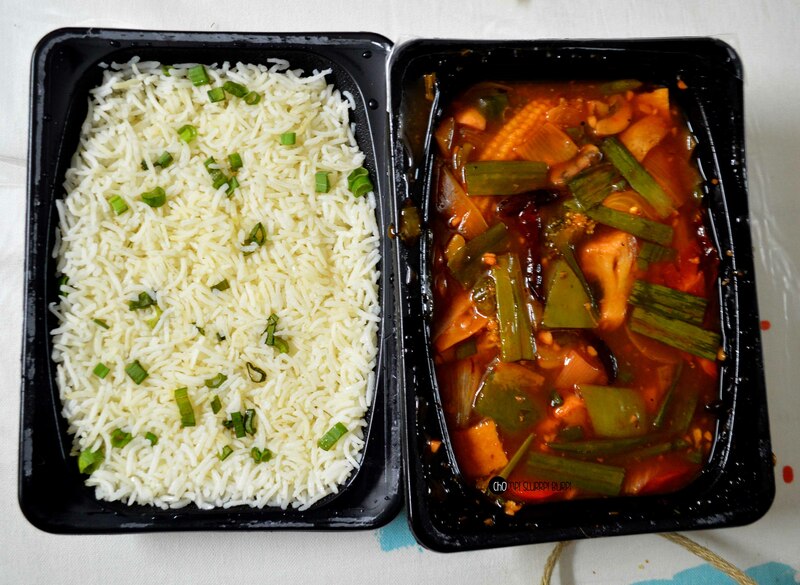 With a kitchen located at GK1, they deliver well packed, delicious food all across South Delhi. 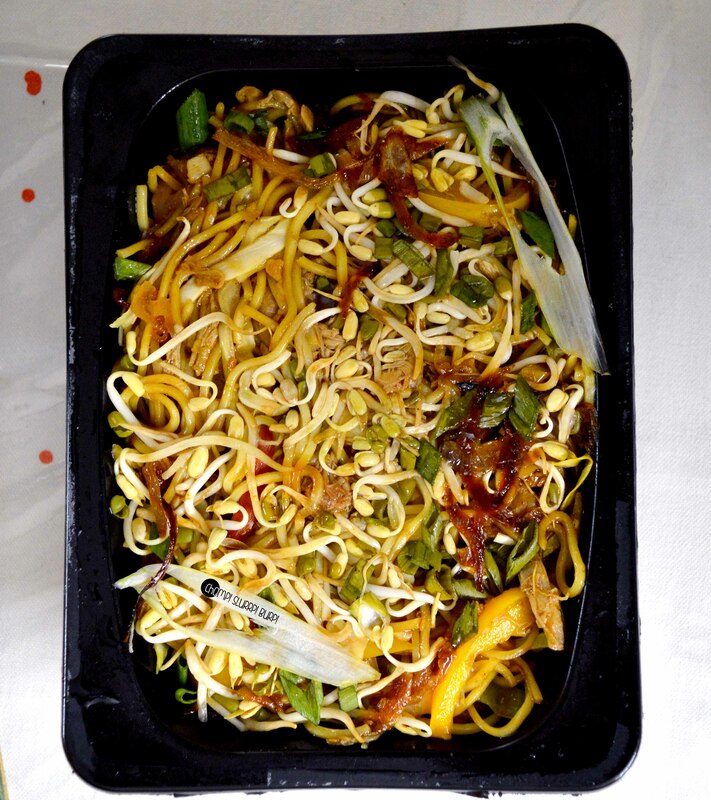 Bun box with teriyaki chicken – Noodles with lemongrass and chilli sauce toppedwith fresh herbs, bean sprouts, veggies, pickle, fried onions, shredded teriyaki chicken and drizzled over with a special Pho King sauce. 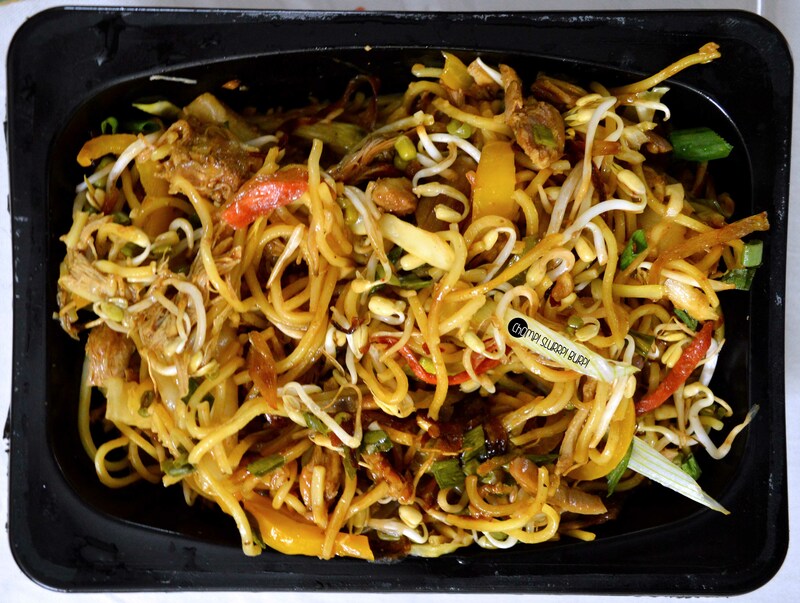 Crunchy fried vegetables tossed generously with hakka noodles, packing a health punch with sprouts and chicken teriyaki with a tinge of sweetness. The King’s secret veggie – a Cantonese classic preparation served with aromatic rice. Rice sprinkled over with toothsome spring onions with a hot, sapid vegetable curry. The curry was inexplicably hot dowsed with one too many red chillies to actually savor the curry. The contrariness between the the rice and curry is what balanced this ensemble. 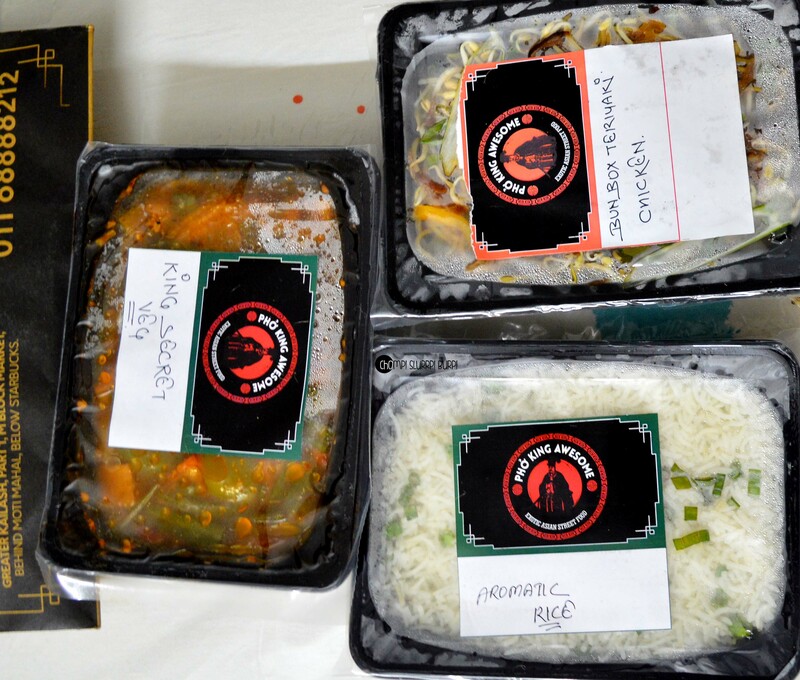 Order from PhoKing Aawesome you are craving Asian next. I can’t wait to try their BaoBurgers next!